Niche brand Coolife will launch Le Deuxième Parfum, the brand's second fragrance and a followup to Le Premier Parfum. Le Deuxième Parfum is meant to open the heart chakra. Le Deuxième Parfum was developed by perfumer Patricia Choux, and features notes of Peru balsam, bergamot, orange blossom and ylang-ylang. 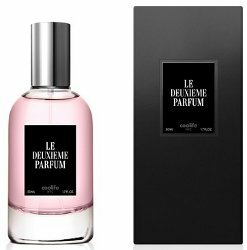 Coolife Le Deuxième Parfum will be available in 50 ml Eau de Parfum, $175, and will debut in March. I meant to try the 1st one but still haven’t…will give these a shot if I manage to get samples!